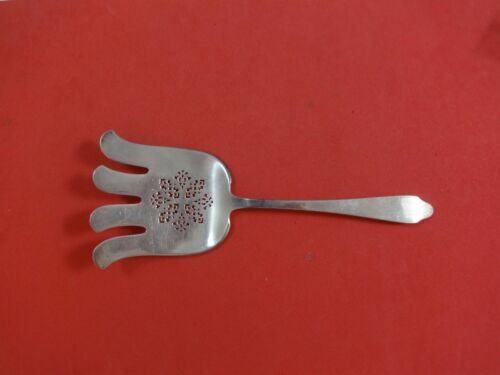 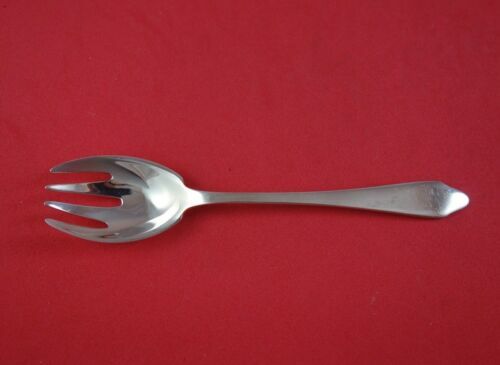 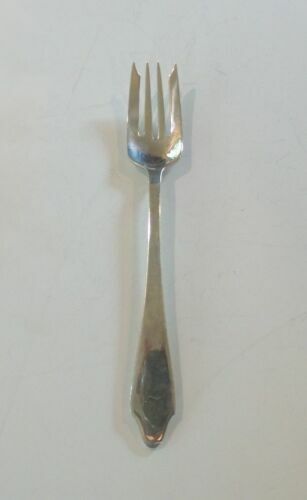 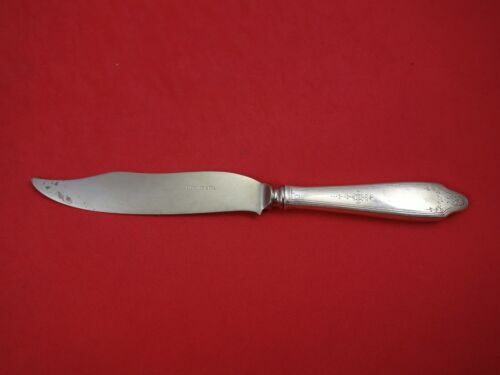 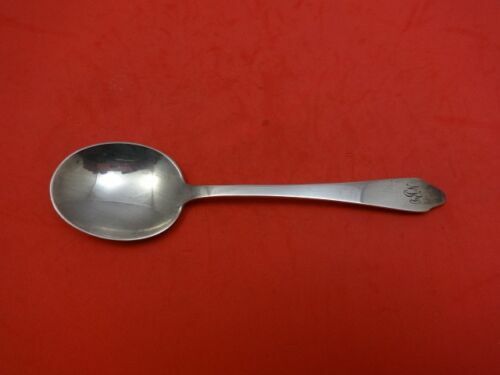 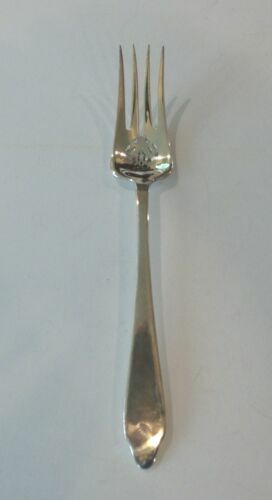 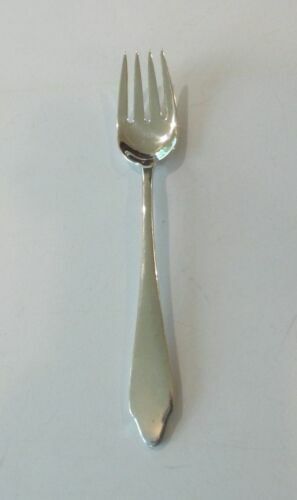 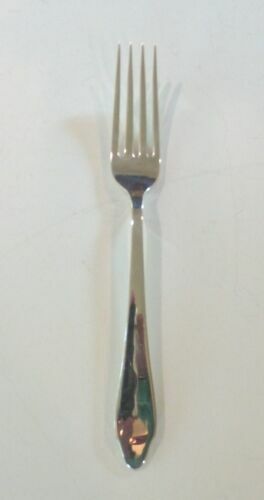 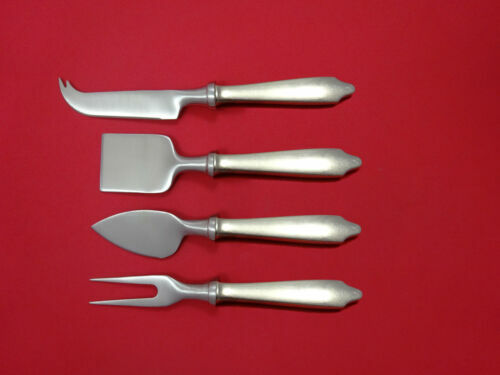 Buy: $175.0 CLINTON BY TIFFANY & CO STERLING SILVER TOMATO SERVER PIERCED 7-3/4"
$389.0 Clinton by Tiffany and Co Sterling Silver Tomato Server FH Pierced 7 3/4"
$389.0 Clinton by Tiffany & Co. Sterling Silver Vegetable Serving Spoon 9 1/4"
$389.0 Clinton by Tiffany & Co. Sterling Silver Vegetable Serving Spoon 9 5/8"
$159.0 Clinton by Tiffany & Co. Sterling Silver Serving Spoon 8 5/8"
$289.0 Clinton by Stieff Sterling Silver Waffle Server 9 1/4"
$189.0 Clinton by Tiffany & Co. Sterling Silver Roast Carving Fork 11 1/4"
$79.95 Signed Tiffany & Co. Clinton Sterling Silver Serving Spoon 8 3/4"
$689.0 Clinton by Tiffany & Co. Sterling Silver Asparagus Fork Pierced 9 1/2"
$159.0 Clinton by Tiffany & Co. Sterling Silver Gravy Ladle 7 1/2"
$159.0 Clinton by Tiffany & Co. Sterling Silver Cold Meat Fork 8 1/2"
$709.0 Clinton by Tiffany and Co Sterling Silver Salad Serving Set 2pc GW 9 3/4"
$129.0 Clinton by Tiffany & Co. Sterling Silver Gumbo Soup Spoon 7 3/8"
$85.8 TIFFANY CLINTON STERLING SILVER SERVING SPOON(S) 8 1/2" NOT MONOGRAMMED 6 AV. 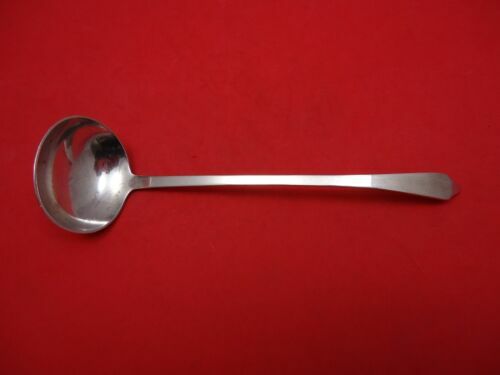 $599.99 Tiffany & Co Sterling Silver Clinton No Monogram 7 Serving Pieces 1 Pound 7 Oz. 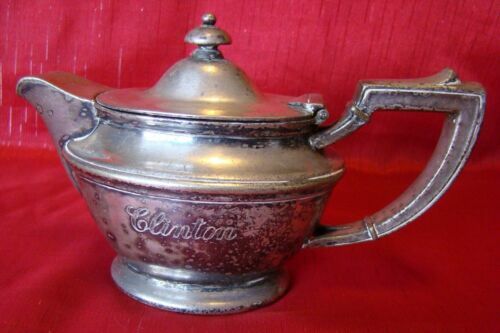 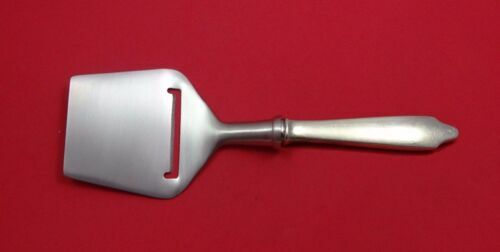 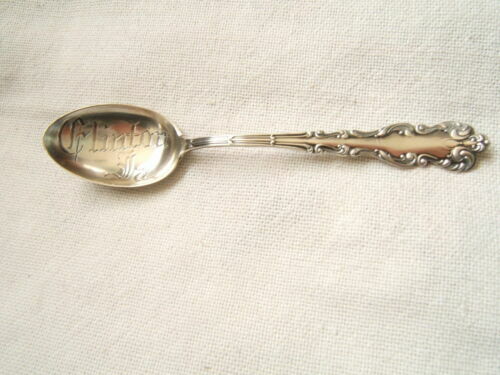 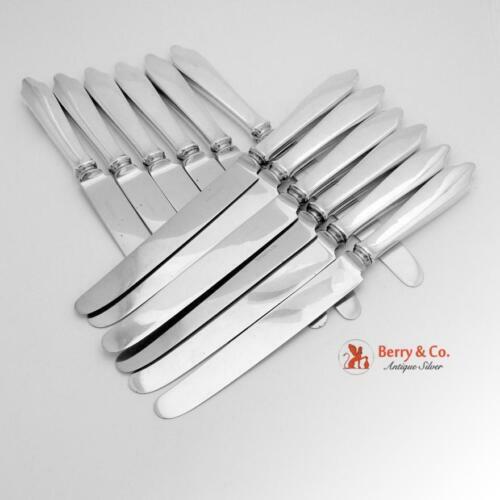 $154.0 TIFFANY CLINTON STERLING SILVER CASSEROLE OR BERRY 91/2" NOT MONOGRAMMED 6 AV. 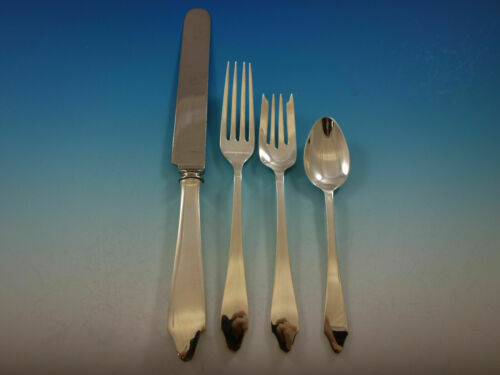 $189.0 Clinton by Tiffany & Co. Sterling Cold Meat Fork Pierced w/Splayed Tines 8 7/8"
$139.0 Clinton by Tiffany & Co. Sterling Silver Place Soup Spoon 7 1/8"
$129.0 Clinton by Tiffany & Co. Sterling Silver Sauce Ladle 6 7/8"
$99.95 Rare! 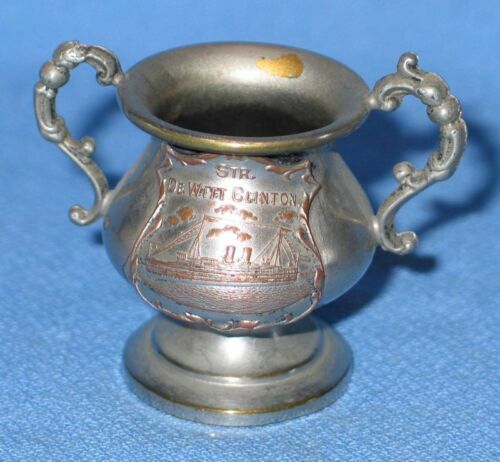 Antique Silver Plate Open Salt from Ship De Witt Clinton - Original? 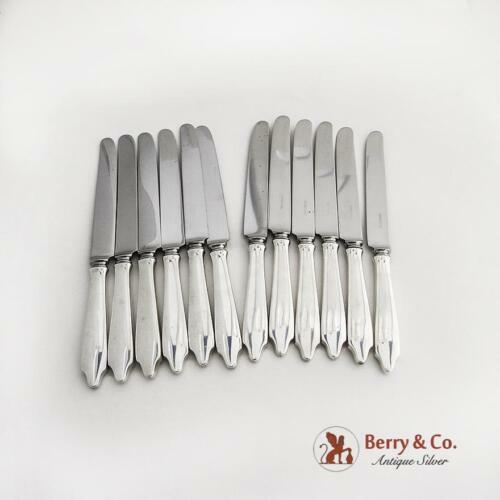 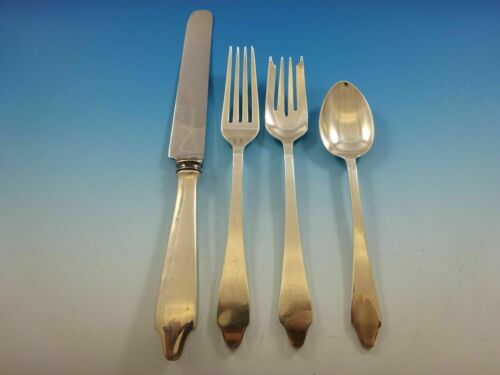 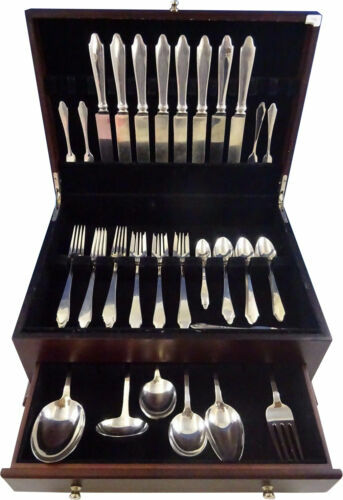 $809.0 Clinton by Tiffany & Co. Sterling Silver Saratoga Chip Server 8 7/8"
$99.0 Clinton by Tiffany & Co. Sterling Silver Salad Fork 4-Tine 6 3/4"
$109.0 Clinton by Tiffany & Co. Sterling Silver Cream Soup Spoon 6 5/8"
$129.0 Clinton by Tiffany & Co. Sterling Silver Wedding Cake Knife HHWS Custom 12"
$99.0 Clinton by Tiffany & Co. Sterling Silver Regular Fork 7"
$99.0 Clinton by Tiffany & Co. Sterling Silver Regular Fork 7 1/4"
$99.0 Clinton by Tiffany & Co. Sterling Silver Grapefruit Spoon Fluted Custom 5 3/4"
$23.99 6 CLINTON SILVERPLATE VINTAGE 1919 COMMODORE PATTERN PLACE OR OVAL SOUP SPOONS. 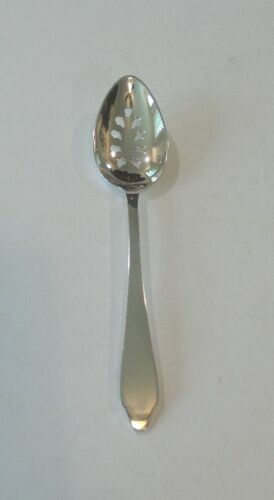 $69.0 Clinton Engraved B by Kirk-Stieff Sterling Silver Sauce Ladle 4 1/2"
$109.0 Clinton by Tiffany & Co. Sterling Silver Fish Knife with Stainless 8"
$129.0 Clinton Engraved by Tiffany and Co Sterling SIlver Fish Knife HH WS 8 1/8"
$99.0 Clinton by Tiffany & Co. Sterling Silver Ice Cream Spoon Custom Made 5 3/4"
$89.0 Clinton by Tiffany and Co Sterling Silver Ice Cream Fork Original 5 3/4"
$69.0 Clinton by Tiffany & Co. Sterling Silver Grapefruit Spoon Gold Washed 5 3/4"
$89.0 Clinton Engraved by Tiffany & Co. Sterling Silver Dinner Knife 9 5/8"
$109.0 Clinton Engraved by Tiffany & Co. Sterling Silver Banquet Knife 10 1/4"